january – kicked off the new year with a trip to the cabin with our dear friends, introduced b to the blogging world, watched kenz in peter pan, went ring shopping and celebrated with dinner. february was a month of excitement – i had my first taste of crab, ate a fancy meal at the roof, celebrated our first valentines day, b had a chat with my dad, and wa la, we were engaged! march – we had a few warm days and picnics, started the crazy wedding planning, and went country dancing. april – we had engagements taken, spent a weekend in washington for lisa’s wedding and put on our dancing shoes, and b’s parents flew in from new york for easter. may – started purchasing furniture for our apartment, enjoyed 2 lovely bridal showers, painted and sanded more furniture than we bargained for, had my dress altered, and shopped till we about dropped. june - we took a trip to st. george with a pitt stop in scipio, floated down the virgin river, sent out wedding invites galore, partied at lagoon for b’s 28th birthday with the fam, I went through the st. george temple for my first time, then had an open house, moved into our apartment, and partied it up at the hotel the night before the wedding. july – we sealed the deal and it was the happiest day of my life, partied it up at the reception, then headed out of the country for a week in paradise. i finally got a stamp in my passport, we settled into our apartment, had a little “oh-crap-we-could-be-preggers-with-a-honeymoon-baby-scare-but-no-worries-it’s-just-the-birth-control-messing-with-my-system” moment (tmi? ), and celebrated the fact that we were finally hitched! august – took our first camping trip, traveled back to new york, I started school, and we had way too much fun cooking in our teeny kitchen. september – my third semester of school was in full swing, zac got baptized, my mama came for a little visit. we shopped, shopped, and oh yeah, shopped, this time not for wedding supplies! october – my old blog crashed, i gave you a tour of our new apartment, we attempted to make caramel apples and failed, carved some pumpkins, and took a romantic weekend away. november – i turned 20! b spoiled me silly, our car broke died, and we celebrated thanksgiving with the family. december – we bought our first christmas tree and purchased a newish car. we made oreo shakes, I made it through finals, we sent out our christmas card via the blog, it finally snowed, and we had our first christmas together. 2011 was a wonderful year. Here’s to 2012! Holy cow this is amazing. You take gorgeous photos! I'd rather have you do it! You're so artistic! Wow! You guys had one crazy year! I love it! And I totally had that birth control moment! Then I stopped taking it cuz it messed so much with me and now we really are preggers! Hahahaha I love your pictures! They are stunning! I love this! First year of marriage, just fun exciting things to remember! I definitely need to do this! 2011 was a very very good year. I have been loving that yellow dresser ever since seeing your apartment tour. I can't believe you painted that! I love love love it! So many great pictures! Looks like an amazing year! Also...I'm a big fan of your blog banner. :) New follower for suuure. Oh my goodness, I can't handle how adorable this post is. I love your pictures. All of them. You officially have a brand new follower. Looks like your 2011 was full of happy moments, I hope 2012 is just as full! this is so cute. your so cute. p.s i tried posting your add to my blog. i don't know if its my blog but the cute photo wasn't showing up..
you guys are seriously the cutest. I love it! I FREAKING LOVE YOUR BLOG!!!! So cute! After I got done reading this post, I thought to myself, "I want to be a cute little wifey like Lex!" What a great year! By the way I LOVE all the yellow you had in your wedding! Especially the chevron print...it's my favorite! you two are simply lovely. I just love your blog!! It is always so cute. I always enjoy reading it. Pretty sure I look at it more than twice a day..haha So you could probably say I'm one of your biggest creeper fans lol!!! Ahh I LOVE your blog girl! 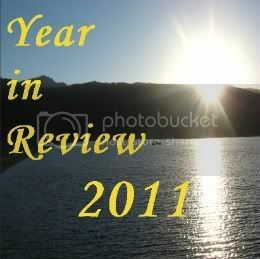 I loved all your pics and your 2011 review. I seriously feel like i know you after reading all that, haha. You are so dang cute and Im a new followers for sure! have i ever told y'all that y'all are TOO CA-UTE?! there. for the 100th time. ;D hehe! pretty much UH-dore this entire post. wow. all your amazing moments are photographed so beautifully. cheers for being awesome. and ps your ring is tadiefor! I love this year in review! I was following on my old blog for sometime and as soon as I switched over I knew I had to follow you again! :) All your photographs are amazing! I love this post! Looks like an amazing year! Love the pics! Let me know if you want to do a sponsor swap for the month of January! I said this in another post, but your images are all awesome. I love that you are able to capture you and your hubby's love. It's so sweet! I'm definitely a new follower! What a cute little blog you have here. I love your year in review and all the pictures you have to go along with it! I hope when I'm married someday I can capture these special moments like you do :) ALL of your pictures are great! It looks like you had a great year and you and your husband look so happy to be together, it's nice to know that love still exist.